It’s time to reconsider the terms that are presently being used in much of the English-speaking world for the “dockless bikeshare” and “dockless scooter” systems that have popped up around the globe over the past couple of years. As you may have guessed, we here at The Bike-sharing Blog – the specialists in public-use bicycling – have a couple thoughts about this as it’s in our wheelhouse. Modern 3rd generation (high-tech) bikeshare systems that don’t need a station at which to park bikes have been around since the dawn of the millennia. However, about two to three years ago with the dawn of these systems in China, a new term was coined which explained not what these systems are, but rather what they are not – they don’t need stations and their pesky docks, so are dockless. The term “dockless bikeshare” somehow caught on. Then more recently electric stand-up scooters hit the scene and the term “dockless scooters” was creatively coined (pardon the sarcasm) due to its similarity to dockless bikeshare. Did anyone stop to think that this term, dockless scooters, doesn’t make any sense because there were never docks to begin with. Dockless bikeshare and dockless scooters are transitional terms available to us now as we transition to better, more descriptive and accurate terms. 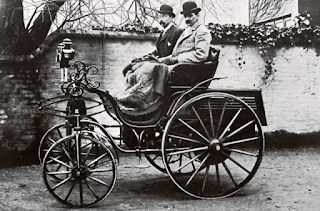 The term “horseless carriage” was a transitional term used in the early years of the automobile as a descriptor because at the time carriages generally were pulled by horses, but this new machine, which later was called the automobile, had its own steam energy source. The good news is that existing terms will satisfy the need for more accurate descriptions for these technologies. The terms “fixed bikeshare” and “flexible bikeshare” have been around since the mid-2000s and accurately describe station-based and non-station-based systems, respectively. Fixed bikeshare has stations at fixed points. 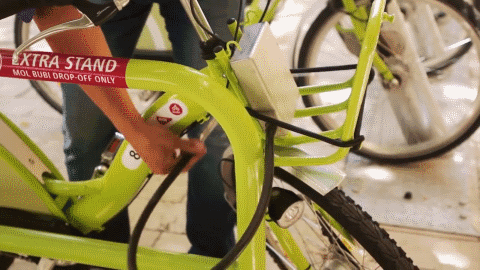 Flexible bikeshare provides flexibility to customers about where to park. For the few hybrid systems out there that both allow parking at and away from stations, it can be “hybrid bikeshare” or how about “flexed bikeshare” combining both the flex- of flexible and the -xed of fixed. The term “scootershare” is also already in use, but needs the descriptor “stand-up scootershare” so as to not be confused with sit-down scooters which are also being shared. Why reinvent the wheel when we already have good terms to ride on? Paul DeMaio is Principal with MetroBike, LLC – the U.S.’s oldest fixed and flexible bikeshare consultancy.